WOW. 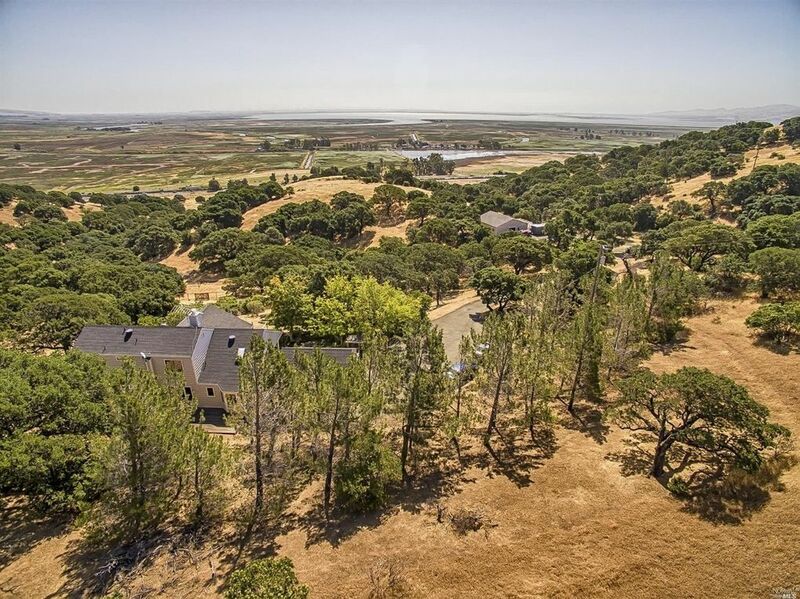 A 20-acre parcel with fantastic views to the horizon, a wonderful 2436 sf home, and a real barn, all with a Benicia address! Gorgeous oaks thrive throughout the rolling landscape. Wide views of Suisun Marsh and Bay, Mt. Diablo, and acres of undeveloped land. The 3BR, plus den, 2.5BA home has the master suite on the main level. New interior paint, carpet, and appliances set off its architectural features beautifully. Absolutely intoxicating. Kitchen: 220 V Wiring, Breakfast Area, Cntr Ceramic Tile, Cooktop Stove, Dishwasher Incl., Island, Microwave Incl. Directions: From 680, Take Parrish Rd Exit. Cross To Lopes Rd. Turn Up The Hill, At Oakridge Lane.